The World Bank, acting as administrator for the Global Partnership on Output-Based Aid (GPOBA), approved a grant for US$3 million for a program planning to increase access to secondary education for underprivileged Vietnamese students. The East Meets West Foundation (EMWF), a non-profit organization that has operated in Vietnam for over 20 years in the education, health, and infrastructure sectors, will be the implementing agent and grant recipient for the scheme. 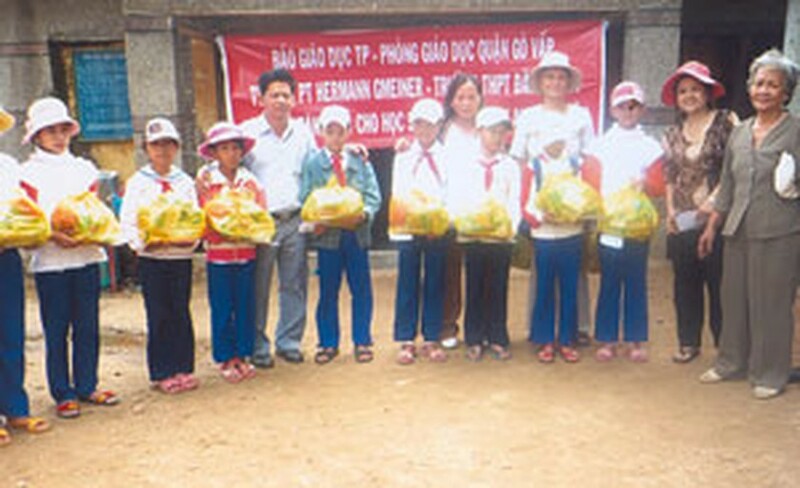 This undated file photo shows poor students in Phu Yen Province receive in-kind support from donors. Around 7,500 students in eleven provinces – three in the Northern mountainous area and eight others along the Central Coast and Truong Son Mountain Range – expect to benefit from the proposal. “The application of the output-based approach to education is innovative in Vietnam, and we are pleased to see that it can be applied to improve access for about 7,500 poor students to high school and professional schools. The Ministry of Education and Training of Vietnam looks forward to the project’s success and potential for scaling-up in the future,” said Mr. Nguyen Quang Hien, Vice Minister of Education of Vietnam. “This project, one of the first to use an output-based approach in education, will contribute to the Government of Vietnam’s goal of providing universal upper secondary education by 2015-2020,” said Victoria Kwakwa, World Bank Country Director for Vietnam. Vietnam has made significant progress in education in the last 20 years, achieving nearly universal primary and lower secondary education. The country also has above 50 percent enrollment in upper secondary education, but there are still not enough resources for all the promising students. Access rates vary greatly between regions and are lower for girls and for students from ethnic minorities and low-income households. Drop-out rates among these groups are high, often because students are unable to pay tuition fees or need to work to support their families. Under the scheme, GPOBA will subsidize upper secondary schools for lower secondary graduates who are unable to afford the tuition fees. This will help to improve the graduation rates for poor students. The participating schools will be “semi-private” schools, owned by the state, but operated privately. These schools will only receive subsidies after proving themselves capable of satisfactorily delivering promised services to poor students, as evidenced by their attendance and moving up to the next grade. 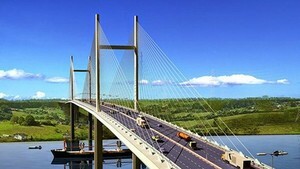 GPOBA will draw on funds from the Australian Agency for International Development (AusAID) for this project.